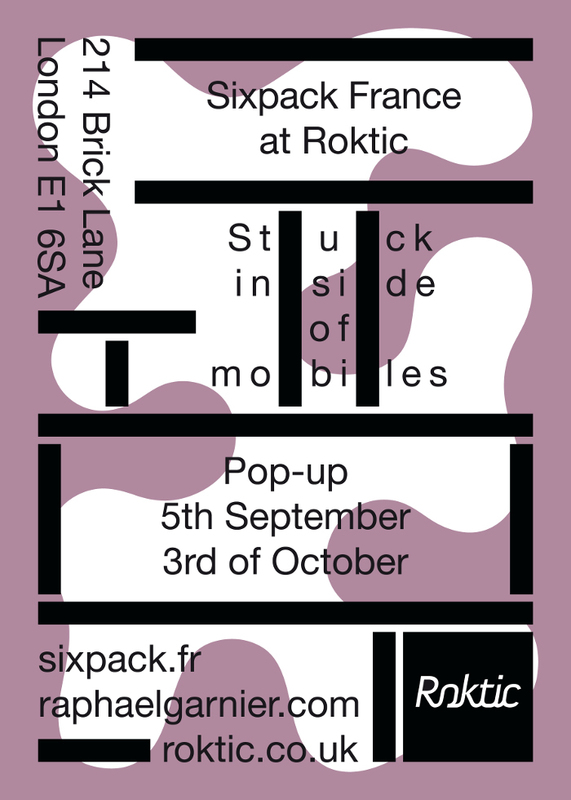 Sixpack France launch a month long exhibition and pop-up shop in London this week, taking over Brick Lane store and gallery space Roktic for the whole of September. The project is titled ‘Stuck Inside of Mobiles’ and the space itself will host the brand’s Autumn/Winter 2013 collection, a full range of apparel including printed T-shirts and cut & sew items, alongside artworks by Raphaël Garnier inspired by the range. His work will incorporate sculpture, textiles and photography creating a unique environment in which to view the collection. The Sixpack France AW13 pop-up shop and exhibition opens this Thursday September 5th with a launch evening from 7pm. More details follow below.